Sports performance is shaped by our general state of mental health. In Sports psychology it is the study of human behaviour in a sporting context; it is the intersection between brain psychology – what we think – and brain physiology – what we can train the brain to do. Sports performance hypnotherapy uses visualisation skills that not only helps a sports person to improve their physical bodies, it helps them manage their emotions and self-talk. When most people think about hypnotherapy, they think in terms of a disability or something needs healing. However, it is common to use these tools in order to prevent problems occurring in the first place. Often applying these methods of thinking and working improves mental ability. This, in turn, helps the way we deal with issues right across the board. It is better, therefore, to undertake some kind of psychological training right at the beginning before any setbacks occur, rather than after an incident has taken its toll on performance. This helps keep motivation levels on track to reach your goals too. So you can deal easily and readily with any potential setbacks, which may arise. So what motivates us to seek out these challenges? 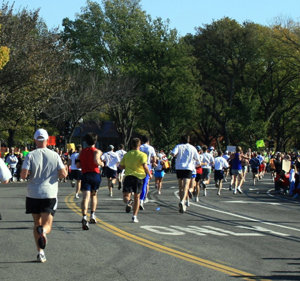 To start with, it may just be the challenge of finishing a race or finding you have a natural aptitude for a particular sport. Then once a decision has been reached with its pursuit, it becomes a question of will, desire and motivation. Maintaining the motivation to continue the training can be very taxing and difficult to sustain. While it’s important to have the right equipment, clothing etc, it’s equally important to have the right frame of mind to effectively train on a daily basis, and it’s often the psychological aspects of training that tend to make the difference between success and failure. Once you have your goals in mind, you can help work towards them, without dwelling on past performance – it is perhaps one of the most important aspects in long-term training, goals must be achievable. What is your previous experience of discipline? How much training have you already done? How much are you prepared to do? If you are not physically prepared then it can lead to overtraining and injury and this will encourage mental setbacks. There is also realising your physical peak. After the Olympics, there were a number of job fairs where employers were looking for athletes who wished to retire from the sport but had that mental training and wanted to use it in other areas. Being aware of what you want to do after you become too old for the sport can help prepare you for the psychological ups and downs. Next to goal setting is planning. A friend of mine who runs marathons has an app on his phone that calculates how many miles he needs to run, in his plan for fitness before each race. He says it cuts out excuses such as the weather not being good so he’ll do it tomorrow. There’s no arguing with an app so he sticks to it. Rest is just as important as the training as overdoing it can lead to all sorts of physical problems. When an athlete has set goals, created a programme of training that increases over time and allows for periods of rest then they are on track to develop the mental stamina too. A great deal of research has been done in the States with the use of visualisation in sports. By using imagery it helps strengthens the pathways in the brain that deliver the shots or positions us just right, or scores the goals or conversions. It also helps prepare us for the unknown. Some athletes find visualising in the first person difficult. If that is the case then use the third person as if you are watching it on TV. Using these skills you can plan every move in your body. Having been the person standing at the end of world champion boxer Glenn Catley’s punch I can thank visualisation for the accuracy of that punch to stop only about 1cm from my nose – the movement of the air created by his fist was enough to ruffle my hair! It may be an advantage for athletes to watch footage of their training so they can make adjustments to their manoeuvres, but make sure you do it in a positive light and not pick holes in it. This positive self-talk is important, so when you are feeling a bit wobbly you can use phrases such as “Focus” or “Come on”. Hypnotherapy is a fantastic tool in the sports person’s toolbox. It helps reduce mental stress, it helps visualise the match or the performance. 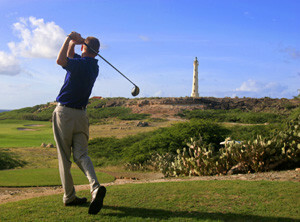 The focus is improved when needed – in golf for example. Concentration on goals and being solution-focused means the future is important. You’re not dwelling on the past. Imagining an act and performing it light up the same regions in the brain. Drs Guang Yue and Dr Kelly Cole set about a very interesting experiment where they had 2 groups. Group A did physical exercise and Group B imagined doing the exercise. The experiment exercised a finger, Monday to Friday for 4 weeks. Group A did 15 contractions with 20 seconds rest between. Group B imagined the same number and time intervals, but with an added voice shouting “harder” between each flex. At the end of the study, Group A had increased their muscular strength by 30%, as one would expect, but Group B who had just visualised it found their muscular strength had increased by 22%, with no movement just imagination. The reason is that part of the strength comes from the motor neurons that program the movements. During these imaginary contractions, the neurons responsible for stringing together the sequences of instructions for movement are activated and strengthen, resulting in increased strength when muscles are contracted. When we take up a sport we may not realise we will at a future date end up playing in tournaments. Hence we will be playing in front of a crowd of spectators. This is exactly what happened to my client Dee. She had played tennis for some time, and as she improved, she was asked to play in mixed doubles at tournaments all over the South West. She was always a bit nervous about this. As a result, after one particularly bad match, she nearly threw in the racquet! She came to me to see if she could unlearn the fear and to enjoy her game again. At the first session, we went through a number of exercises, which helped reduce her anxiety. In the Second session, we started adding tools to help her visualise her playing calmly and confidently. By the third session, she was actually looking forward to the next tournament. After a few weeks of practising these skills, she came back for the last session just before a big game. This she breezed through and many of the other players in the club remarked how much better she was playing. Sarah had trained for a 10K run in the gym only, which had turned out to be a big mistake. As she ran down a road in Bristol, she slightly lost balance and broke her leg. The training purely on a treadmill had not been enough for the force of her body weight on her legs as they pounded the hard road surface. She came to me because she felt there was something stopping her running again. Every time she prepared to go out, something would hold her back and she felt frustrated. When we met up for the consultation, she also had to juggle a very stressful, high-powered legal job in London and was commuting every day. We had to start looking at reducing her stress levels. She reorganised her work schedule and looked at her work/life balance. Eventually, she came up with a planned schedule. To make matters more difficult, it was Christmas and winter. Consequently, there were a whole plethora of excuses to why she couldn’t go running. After a few sessions just reducing stress, Sarah was able to reorganise some of her work, which also included working from home 2 days a week. Fantastic, she was now paving the way to schedule a number of runs during the week at lunchtime, in the park. After the initial stalling over Christmas, she was able to take advantage of dry spells in January to also go running at weekends and was well on her way to planning her training for her next 10K run. Vemon, David. (2009), Human Potential: Exploring Techniques Used to Enhance Human Performance. New York, NY: Routledge/Taylor & Francis Group. Morgan, William P,; Stegner, Aaron J. (2008), Hypnosis in Sport: Cases, Techniques and Issues. In Nash, Michael R. (Ed); Bamier, Amanda J, (Ed), The Oxford Handbook of Hypnosis: Theory, Research, and Practice, (pp, 681-696), New York, NY: Oxford University Press. Morton, Priscilla A. (Jul 2003). The Hypnotic Belay in Alpine Mountaineering: The Use of Self-Hypnosis for the Resolution of Sports Injuries and for Performance Enhancement. American Journal of Clinical Hypnosis, Vol 46( 1 ), 45-51. Wooten, H. Ray; St. Germain, Noëlle R. (2001). Heart-Centered Hypnotherapy in Sports Counseling. Journal of Heart-Centered Therapies, Vol 4(\), 57-65.